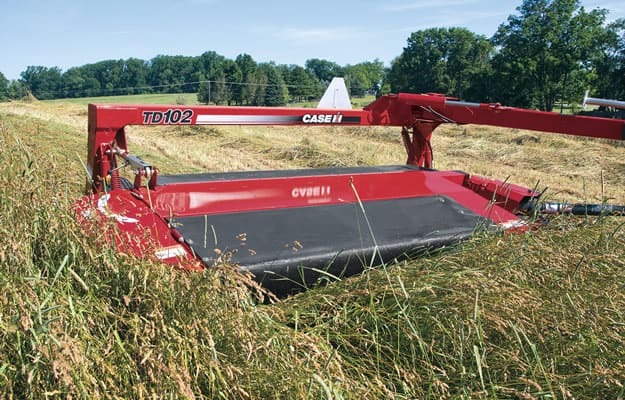 Case IH DC2 and DC3 Series rotary disc mower conditioners deliver fast cutting and high-quality conditioning. 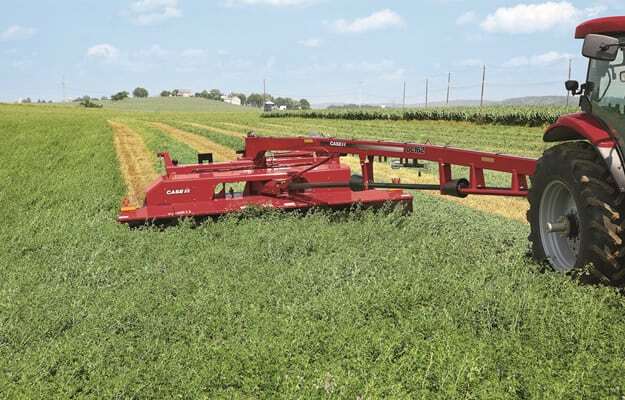 Choose from four DC2 models and two DC3 models, built to handle a variety of crops. 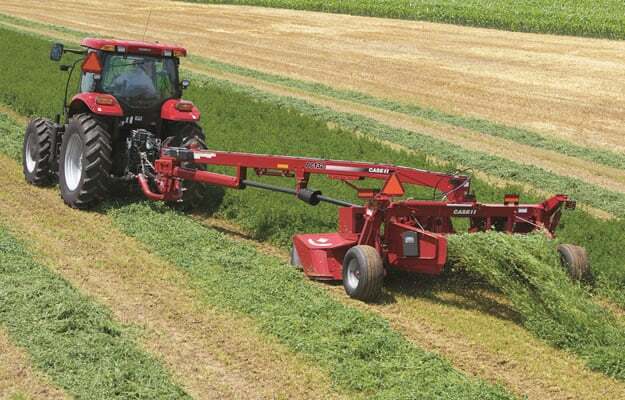 The new flail conditioning option is available for all models and provides more thorough drying in grass-type crops. 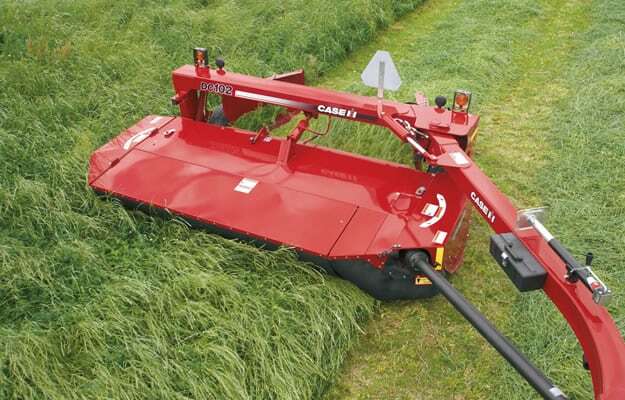 * Windrow shields fully open for length in both transport and operating positions. † Add 100 lbs. (45 kg) for steel conditioners.